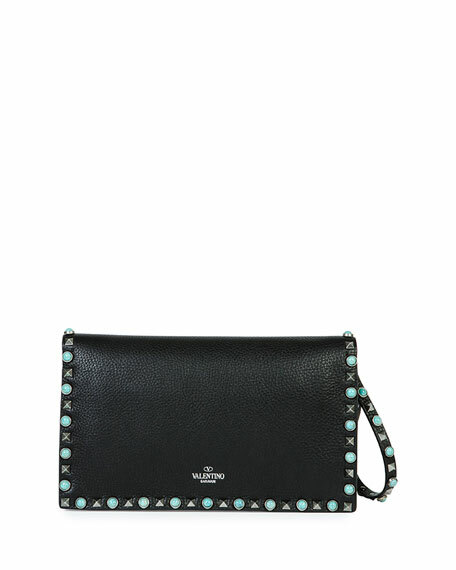 Valentino Garavani grained leather clutch. 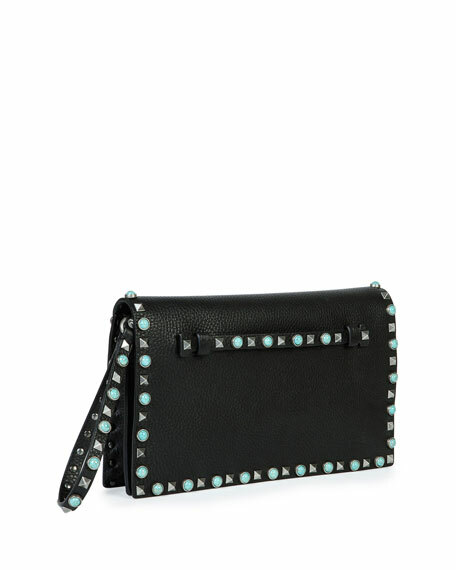 Signature Rockstud and turquoise stud trim. 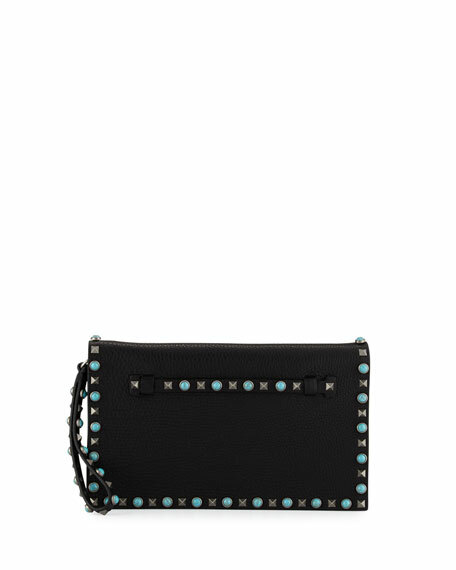 Flat hand strap; wristlet strap. 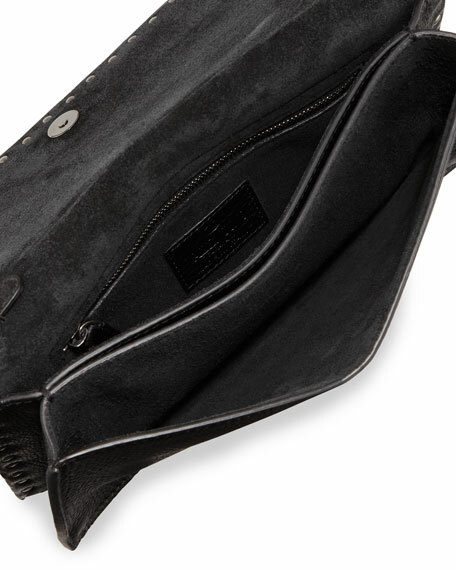 Logo embossing at bottom center. 6.7"H x 11.4"W x 2"D.
For in-store inquiries, use sku #1657041.